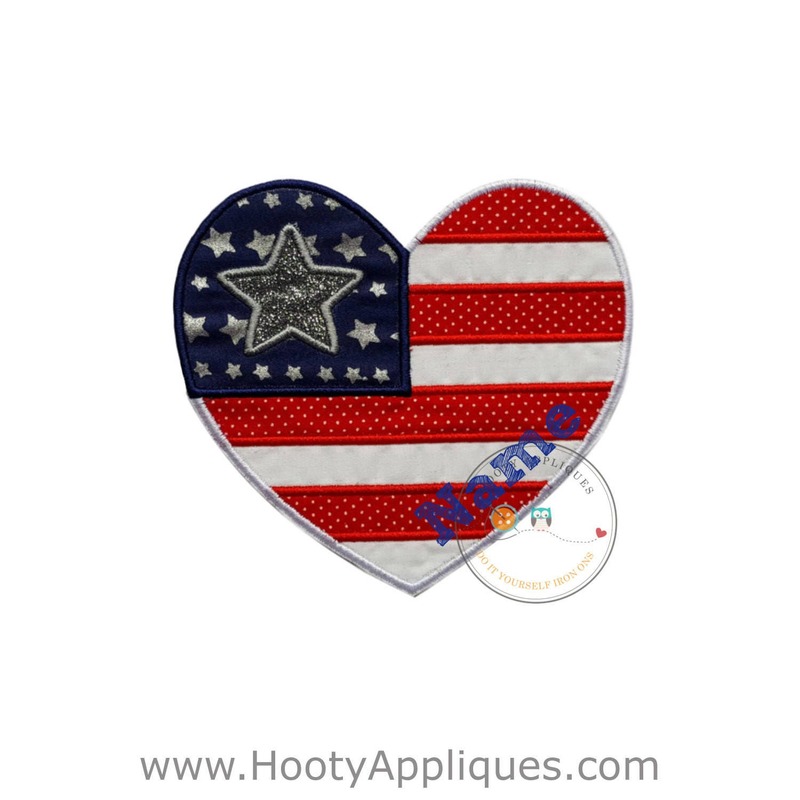 Patriotic flag heart iron on with red/white dotted fabric embroidered in red, and blue-printed fabric embroidered in matching blue thread with a single, glitter-vinyl star embroidered in silver thread in left corner. The rest of the patch is embroidered in white. 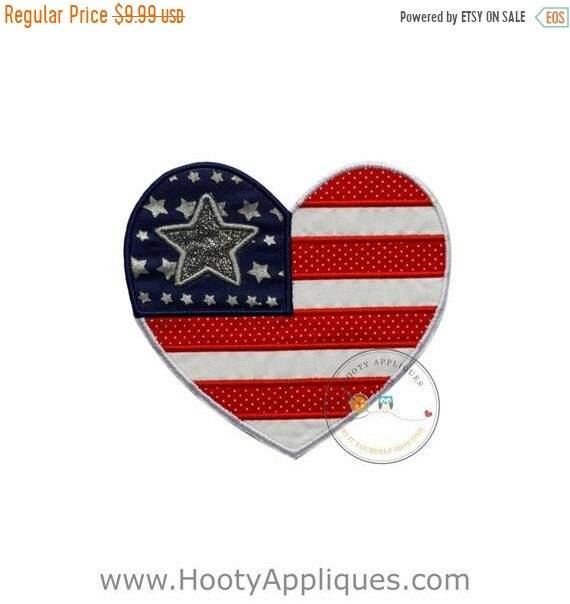 This is a great patch for any patriotic holiday. Great patch for tank tops, t-shirts, jean jackets, and bags. Ideal for girls/women. ►	This iron on patch measures 5.5 inches wide by 5 inches tall.